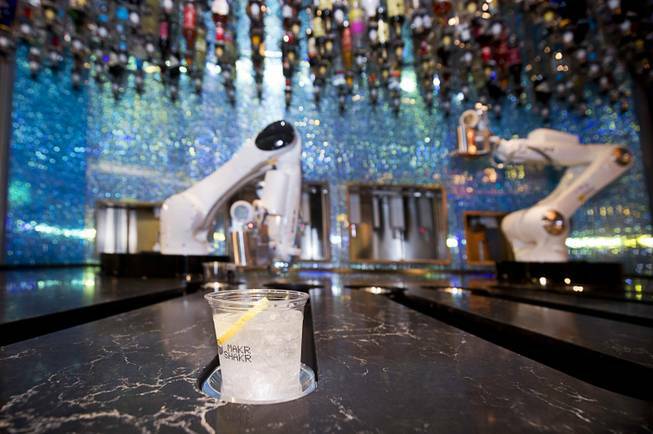 Las Vegas’ first partially robot-operated bar debuts on the Strip this Friday while Tipsy Robot is still perfecting all the hard mechanics. 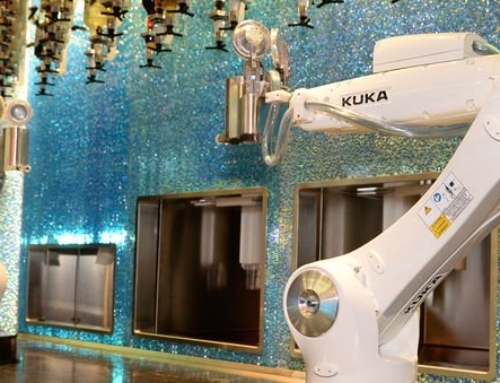 Located inside the Miracle Mile Shops, close to competitor Cabo Wabo Cantina, the 2,472-square-foot former menswear space is highlighted by two highly articulated robot arms that can mix, slice, dice and serve drinks, a few feet from a second, human-operated bar. Opening hours will be Sunday to Thursday from 10 a.m to 11 p.m. and until midnight on Friday and Saturday. 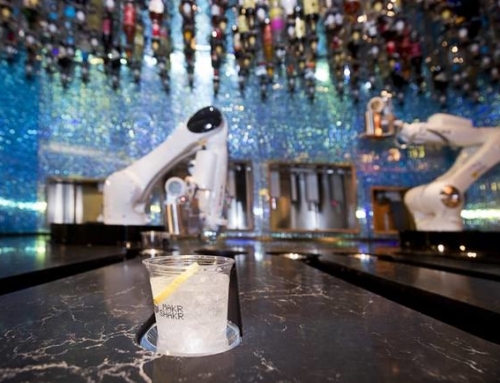 Once customers arrive, they can opt for the human bar featuring the same $14 concoctions like the “Deep Space Brew,” featuring vodka, amaretto and coffee liquor, or head to the robot attraction. Patrons who want beer or wine can find them with the flesh-and-blood vendors. 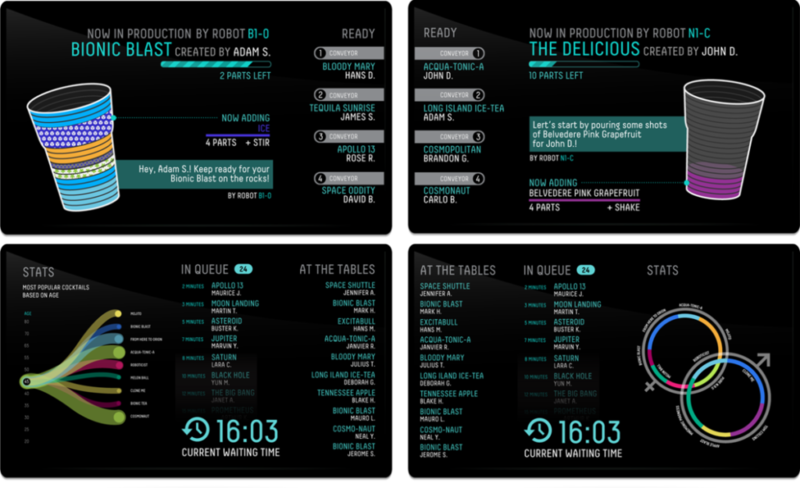 Customers create a login on the bar’s menu tablets, then “explore the existing drink recipes or create new ones and process the order.” Starting “bases” include vodka, rum, and whiskey, then “actions” can be chosen to direct the robot to stir, muddle or shake. 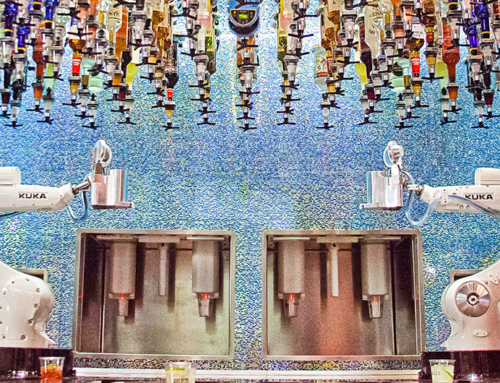 Ingredients are added — mixers, syrups, ice and garnishes — and drinkers can personally name their handiwork. 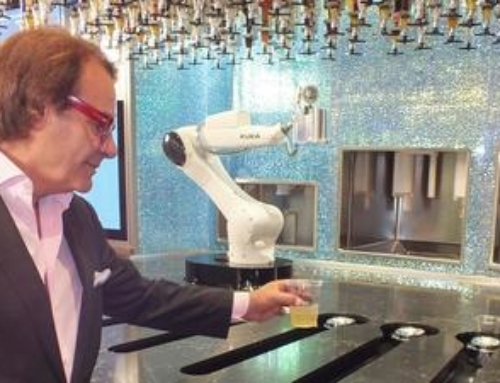 A video display will show other customers the newest recipe and will also indicate customers’ place in the queue while they wait for the robot arms to make the drink and pour it into a plastic cup. 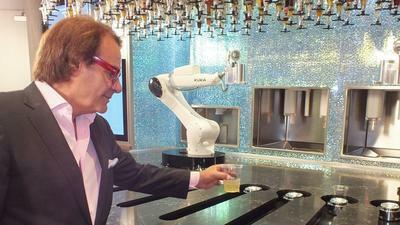 Drinks average $14 and other options include “Robo Shots” and the 28-ounce “Bionic Bomb” in a souvenir cup. T-shirts are also available to purchase. Other $14 cocktails include the “Mr. Roboto” made with “Stoli Vodka, simple syrup, lime topped with ginger beer,” or $14 “tipsy shots” including the “#5 IS ALIVE” a combination of “Bayou Light Rum, apricot liqueur and Disaronno Amaretto.” Draft beer is $14, canned beer $8, with water or Red Bull priced at $5.